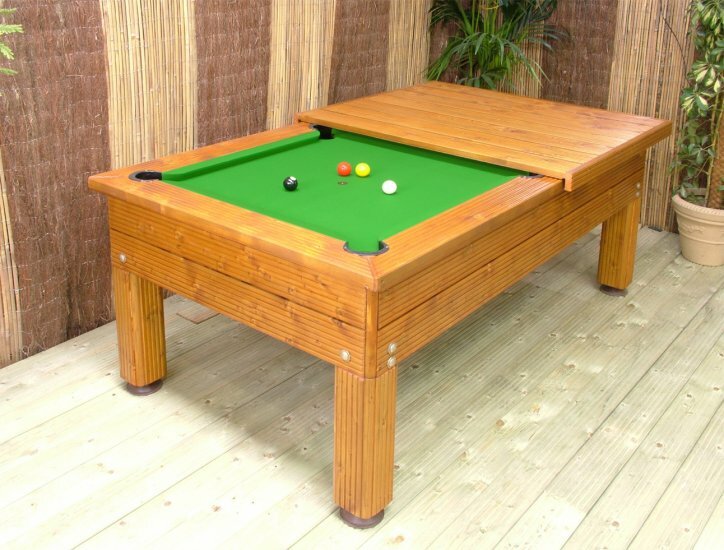 For those of you who like to play Snooker but don’t want the inconvenience of the table being on permanent display, the snooker dining table can provide a solution. With our tables, we can provide a top that allows you to use the table as a dining area. Perfect for hosting a dinner event and then transforming the room into a social gathering point afterwards. Relax over a nice meal and then play a game of snooker or pool. Or vice versa! Increasingly, its seen as a very modern solution for the space saving, pool playing family! 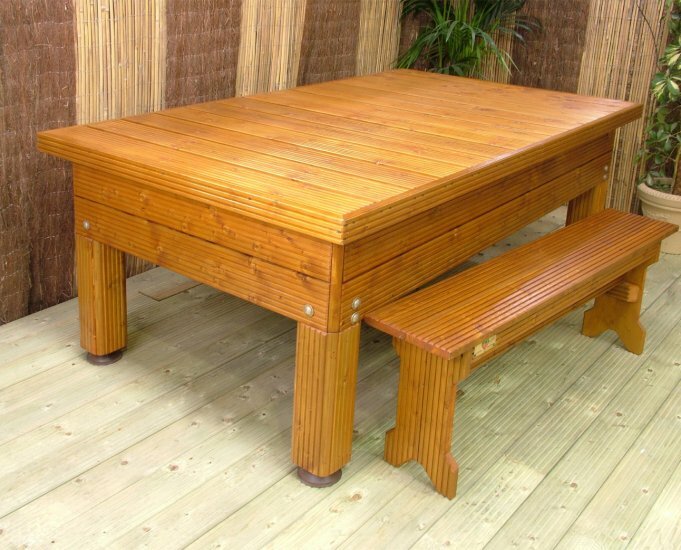 Optional matching benches are also available, adding a traditional garden look for outdoor dining and playing. Dining tops are available across all of our table designs. See the main product pages for details and costs or contact us now for a quote. Half hard top display, ready to use!